Super Saiyan Goku. ● This product can be used as the best toy gift for kids boys and girls. Material : PVC. Material: PVC. Quantity: 1PCS. condition: 100% new NO box. The place of origin:made in china. Super Saiyan Goku. We believe communication will fix problems. Material: PVC. Fill this mug with your favourite hot drink and then watch as it transforms! Porcelain Mug. Unsuitable for dishwasher or microwave use. Pictures may not reflect the actual colour of the objects due to difference of display and light. Made in China, copy version, but good quality. Bandai Dragon Ball Z Majin Vegeta SH Figuarts NEW Unopened. Condition is New. Dispatched with Royal Mail 1st Class. Height : About 17cm. Modified Item. Does not apply. MPN : Does not apply. Dragon Ball Super SSA Sohn Goku Gokou FES ! The real color of the item may be slightly different from the pictures shown on website caused by many factors such as brightness of your monitor and light brightness. Does not apply. MPN : Does not apply. Broly, in his Super Saiyan form, has joined the Chokoku Buyuden line from Banpresto. From Dragon Ball Super the Movie. Fully painted. --- Material: High Quality PVC --- Size:about 4.3 cm each, 1.3/4" --- Box size: 19.8cm x17.7xm / 7.3/4" x 7" --- Packing including: DragonBall x 7 --- Great Collectable for fans Delicate art collect, just for your childhood memory Do you still remember the ultra-popular anime Dragon Ball many years ago? You must be moved by it and enjoyed it to the top of your bent at that time. Now Dragon Ball is far away from us, and we grow up day by day, but we still can not forget the impressive story and characters of it. When we can not have childhood, 7 Anime Dragon Ball brings you unlimited memories of that beautiful time, are worth collecting. Its main values are as follows. No joint 7pcs Anime Dragon ball is made of glass silica, the work is quite fine, big hardness, the whole seems to smooth, no joint inside and out. All new! However slight mark on corner of a box! Dragonball: Super Saiyan Gotenks S.H.Figuarts Figure By Bandai Tamashii Nations. Condition is New. Dispatched with Royal Mail 1st Class. Super Saiyan God Super Saiyan Goku Funko Pop figure, number 121, Good condition. Condition is New. Dispatched with Royal Mail 2nd Class. Baby,Kids Accessories. Light,Lamp,Bulb,LED. We will reply youASAP. Vehicle Parts & Accessories. Sporting Goods. What's included Note: Made in China. Not official. Character :Son Gohan. Material :PVC. - Reply Within 24 Hours. The color of the product is subject to the actual product! We appreciate your patience & understanding. If you not satisfy t he item or service. We are very glad to solve all problems. Material: PVC. Will dispatch usually in 5 working days Ship via SAL small packet with tracking (usually 2-3 weeks). Will declare under £15 so no should be no customs hit. Ignore eBay delivery and postage information and do not select click and collect. 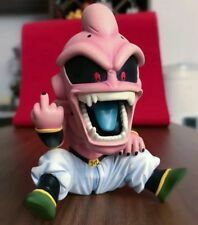 BOOTLEG Golden Frieza SH Figuarts Bandai Dragon Ball Z DBZ Super. Condition is Used. Dispatched with Royal Mail 2nd Class. Bandai Dragon Ball Z SH Figuarts Trunks Super Saiyan. Condition is New. Dispatched with eBay delivery – Shutl 1 day. Dragonball Z Kai Dragon Ball 7 Balls Gift Boxset Display *Stock in UK*. Condition is Used. Dispatched with Royal Mail 2nd Class. Description: 100% Brand New. Character/ Show: Dragonball Z Character:Son Goku Black Colour : as pictured Material: PVC Size: 6". Dragon Ball Z Second Form Frieza Figure Banpresto DBZ WFC 2 Vol. 1. 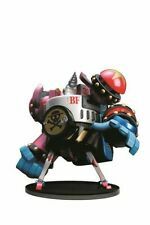 Brand new from Banpresto's World Figure Colosseum! Figure shows Frieza ready to go on the offensive. Brand new, opened only for photographic purposes. Dragon Ball Z Master Stars Piece Goku Statue . Condition is As new without box. 7pcs（1 set）X Dragon Balls. Quantity:7pcs one set. Condition: New. Product Details. 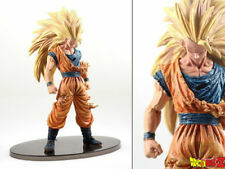 Perfect for fans of the anime and manga series, DragonBall Z collectables let you own a piece of this iconic franchise. 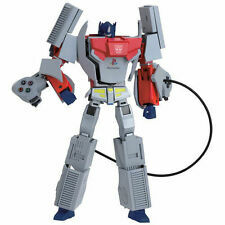 Dress up as your favourite character for Halloween or get yourself a set of toys of the main characters. 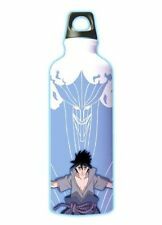 Whatever Japanese Anime collectables you're after, you'll find the perfect items for you. 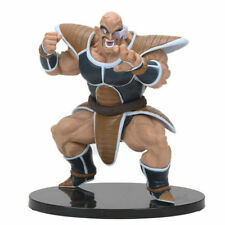 Perfect for any avid fan of the show, DragonBall Z collectable figurines let you get your hands on the characters. Set them up in exciting poses to keep in your collector's cabinet, or keep them out and play with them. 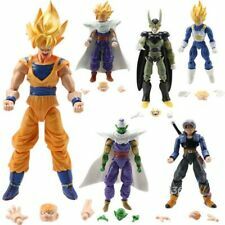 Keep an eye out for multiple figures to get yourself a complete set, or go for your favourite character, like Goku. 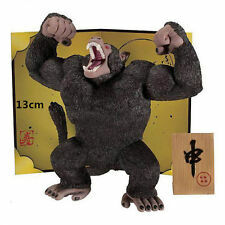 Keep an eye out for opposable toys to create your own game, or go for a statue figure to add to your cabinet. Or, get yourself a set of highly sought after Dragon Balls with a Shenlong figurine. Coming with a clear plastic stand and seven DragonBalls, this is a truly decorative piece. Sport your favourite characters with DragonBall Z clothing. Go for something with Goku's face printed to the chest, or proudly flaunt Vegeta with a deep green top. Get a T-shirt printed with the body of various characters, like Majin Buu and Piccolo, or get yourself a bright orange hoodie with a DragonBall Z print to the front and back to wear the same colours as Goku. Ideal for Halloween, you'll find a range of quality DragonBall Z costumes for any fan. 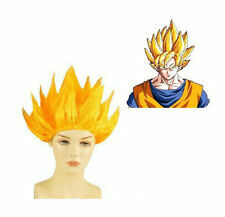 Dress up as Goku with an orange outfit, matching boots and yellow Super Saiyan wig. You'll also find outfits that let you dress up as other characters, like Beerus and Piccolo. Take it to the next level with a mask that turns you into the villain Freeza or Vegeta.